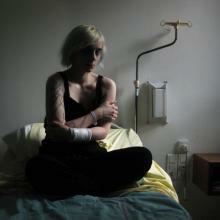 This is such an intense photograph from a very personal story. Can you tell us some of the backstory? Sure, Ross. I've been following The Image, Deconstructed for about year and half now, and love it. I'm so honored to be able to share my images with you. So this photo was taken about six hours before my father had taken his last breath. At this point, my mother and I had been in the hospital for 10 days, visiting my father on a fairly regular schedule. This is essentially how we saw him during every visit; unresponsive, motionless, quiet. It was the second time for my brother, pictured, and his girlfriend, not pictured. It was the first time for my other brother, grandfather and uncle to him like this. Going a little further back, on Dec. 23 I received a call from my brother while I'm getting my car fixed, telling me our father was going to be flown to Bloomington. Then a few minutes, I get another call telling me he was going to be flown to Indianapolis. I had a gut feeling it wasn't good. I was told he was jaundice and had failure of the liver and kidneys. When I arrived the ER in Indianapolis, I didn't know he would be as jaundice as he was. (Even the nurse said she hadn't seen someone like that in a long time.) He was moved to a critical care unit in the neurological division because he also had some bleeding in his brain from a fall earlier in the week. And that's where he spent his last days–room 5212. I'm so, so, sorry for what you're having to go through (and went through). 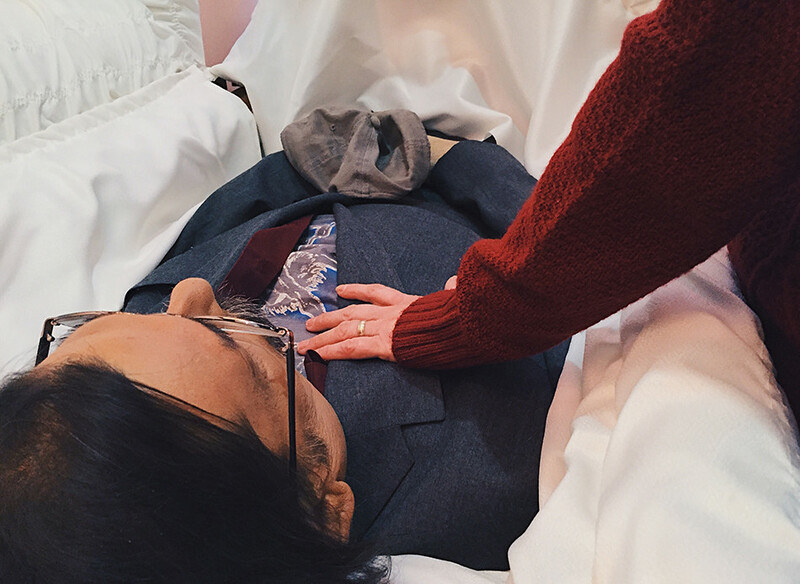 Can you talk about what it was like for you when you first learned he was dying? I can imagine this just being a brutal process. Thank you for your condolences, Ross. I would say it came in waves. Since I was young and lost one of my grandparents suddenly, I decided I never wanted to be that unprepared for a loss. So when I got the call, I tried not to think about it; but when I got home I started preparing myself for the inevitable. I pictured the worst case scenario–he could die on Christmas. Since I can remember, Christmas has always a special day for our family. Luckily, I was able to spend Christmas with him, in a way. 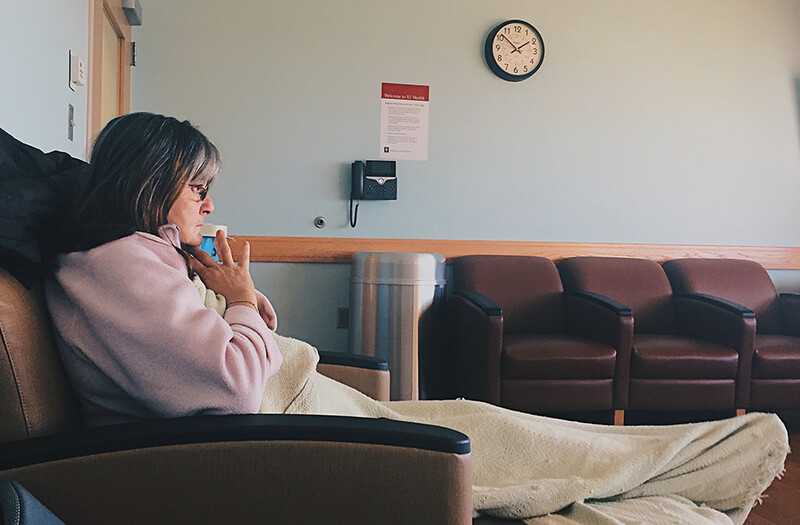 We were taking a nap in the waiting room on Jan. 2, when I received a missed call from the hospital. A few short moments later, a resident came to get us. We met with our lead doctor who told us he was basically in a coma and his ammonia levels were very high, there was blood in his stool and from his stomach again. I wanted to get away and try not process it. I went to a bathroom on the first floor and my mom found me. I wasn't ready to talk about it. I remember her trying to hold my hand as we walked back to the room, and how I didn't let her. I feel bad about it now, because I didn't mean it; I was just upset. As soon as we got back to the waiting room, I slept until other family members arrived. I didn't want to talk or think about it. Can you talk about the early stages of photographing him? What was it like for you to begin and what were some of your initial thoughts? I rarely document my own personal life, so I'm always curious about others who do. I wouldn't say I document a lot of this side of my personal life, so this was different for me. This was all in the first night when I took photos of her sleeping in the waiting room. I thought the lighting was interesting when I couldn't sleep. I didn't sleep but 30 minutes that night. I thought about documenting it during that first night. I wasn't sure what I would really do with the photos or how they would come together, but I decided to just keep making them. I was hesitant at first, mostly because I didn't know how to go about it. Do I show his face? Do I show the whole set up? Will the nurses yell at me, although my mother has told every nurse that I study photojournalism? What will my family think? Will some of them be upset? But I eased my into it with showing his whole body. For a while, I would just do the lines, his arm, or take it from an angle so you couldn't see his face. I have never gone through photographing something like this, so it took a day or so adjust. What was the initial reaction from your family? Was there any hesitation? If so, how did you problem solve this? Well, when my mother saw me taking a photo of her hand resting on mine, and she just watched me. My parents always loved watching me with my camera, especially my father. Afterward, she said she wanted me to take a photo of him. "I know he won't believe us when we tell him this is what he looked like. Maybe it will scare some sense into him," she said. I took a quick one, not really thinking about. She noticed I didn't like it and said the lighting wasn't very good and moved on. It was then that I felt she wouldn't mind if I took photos. During the process, she was the only that knew I was taking photos. Even then, I don't know if she always knew when I was taking photos or what of. I remember her saying one day with hesitation, "Are you planning on putting these on Facebook?" I told her I didn't know, and I really didn't know what I was going to do at that point. 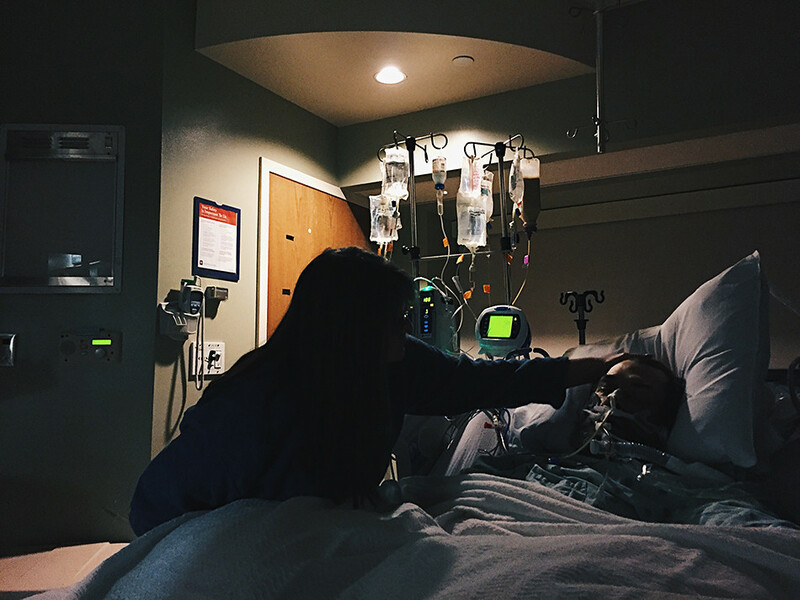 She didn't like the idea of it, and I think it was because my father laying in a hospital bed is not how people knew him. People knew him as this tough guy that never let anything stop him. A few hours before I published the story, I asked her if it was okay. She did seem hesitant, but she said was okay with it and wanted to see them. However, she never really told me what she thought. I think she liked the message behind it. My oldst brother said it was moving, but my other brother never mentioned anything about it me. Not a lot of my family members did. How did documenting this impact your relationship with your family over time? I think in a way it brought me closer to my mother. I wouldn't describe us a close-knit family, but watching her made me feel more connected in a different way. She thanked me for being strong and staying with her, but I feel like I learned how to be stronger because of her. Taking care of her in little ways during our stay definitely improved our relationship. But the rest of my family, I'm not really sure. I haven't seen or talked to them since I published it because I'm three hours from home. This is an intense experience. How do you handle yourself emotionally, how do you deal with this? This was, without a doubt, one of the most emotionally driven experiences I've been through with photography. One thing I learned from watching my father was knowing when to mask certain emotions and let them out later. It was a tactic I used for a majority of the time, whether it was while I was taking photos or not. I tried not to think about how I felt when I was taking them, but rather what the image would make someone feel. There are two photos in this story I was crying, or starting to cry, when I took them. They are the main image in the hospital room and the image of my mother's hand on my father while he's in the casket. For these moments, I just told myself, "you know you have to do this," and "you'll regret it if you don't." I pushed through for those really emotional times for me. I learned how far I can be pushed emotionally for a story. Which will be helpful in years to come when I need to make a photo in an intense time. So I just need to find my next emotionally driven story and really work it. How did this impact your relationship with your father? I'm not really sure, yet. He didn't know I was taking the photos because of the state he was in, but he always loved looking at my photos and asking me about my assignments. I feel like he would have been okay with me documenting this time because he knew how important photography is me. Now, onto the main image/moment. Can you tell us what was going on in the main picture and what you were thinking mentally and emotionally? Sure thing, Ross. 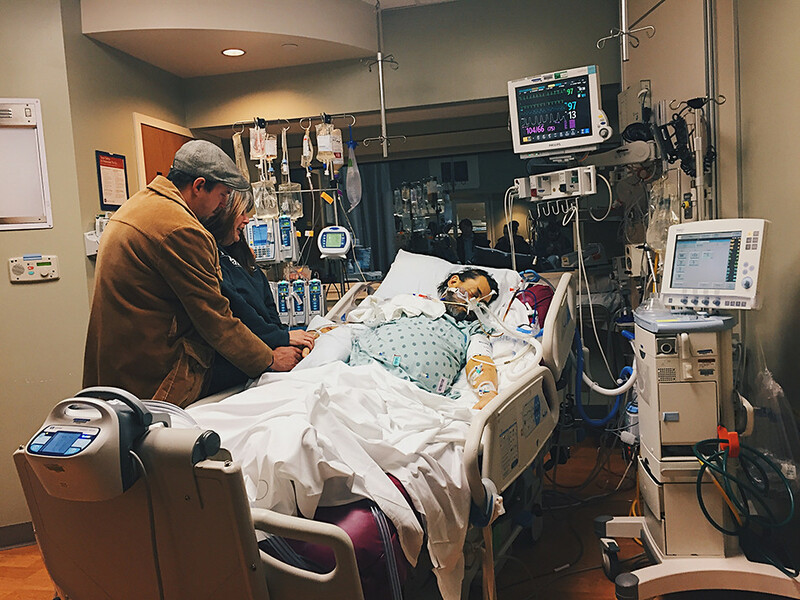 We had just walked into the room and my mother was pleading for him to wake up for the last time. Before even walking into the room, most of us were already tearing up because we knew what was going to happen next. But hearing her beg to him was my breaking point. I don't remember exactly what I was thinking, but I knew I had to make an image. I took my phone out, made one or two photos and put it away. I had tears streaming down my face as I tried to frame it just right and not call too much attention to myself. At that time, I noticed my brother's girlfriend looking at me. I know she didn't know I was documenting everything, but I also don't know what she was thinking. I feel like I should ask her one day, just so I know. But I went ahead with what I was doing. It was the hardest one I had to make out of the story. Do you have any advice for photographers who want to do this type of work? I feel like I didn't go into this kind of documentation without any real background of it, to be honest. I knew I had to tell the full story and show all the emotions. Even when it was hard to make a photo. And I think that would be my biggest piece of advice. No matter how hard it may seem to make a photo at that time, do it. Push yourself to do it. Otherwise, you'll regret it. There is one photo I wish I would have made during this documentation. My mother had asked for a chaplain to say a prayer before we said our goodbyes. I wanted to make a photo of the situation. 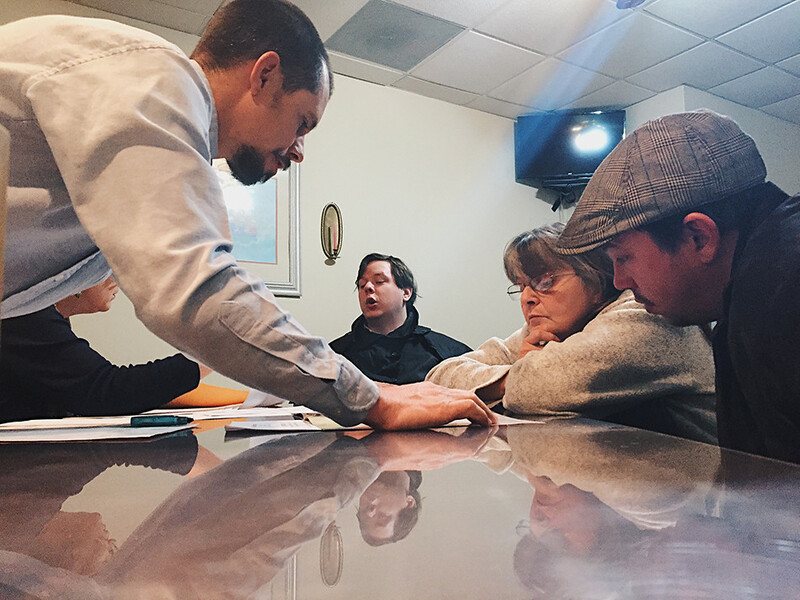 We were circled around my father, holding hands and listening to the chaplain. I thought it would be interesting visually and I still think about the different angles I would have made with it. It's the one photo I regret the most out of the story. In conclusion, do you have any final thoughts or remembrances you'd like to share about your father? My father always approached people with an open mind and without judgement. He would always find a way to connect with people, even if it was on a small thing. He was also always supportive of my work and wanted to see what I was covering. Not only did he tell me he supported me, but he made me a better photographer. Growing up and watching that has really helped me to not judge any of my subjects and strive for a connection with them when I talk to them. Breanna is a senior photojournalism major at Ball State University in Muncie, Indiana, originally from Paoli, Indiana. 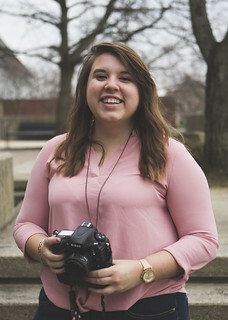 She is the editor-in-chief of the student-run newspaper, The Ball State Daily News, as well as the president of the NPPA chapter at Ball State. She was named the 2016 Indiana College Photographer of the Year by the Indiana News Photographers Association. Breanna strives to capture as much of the story and emotion in her photos. She enjoys sports photography the most because of the different challenges it presents. And she's always down to chat over a cup of coffee.